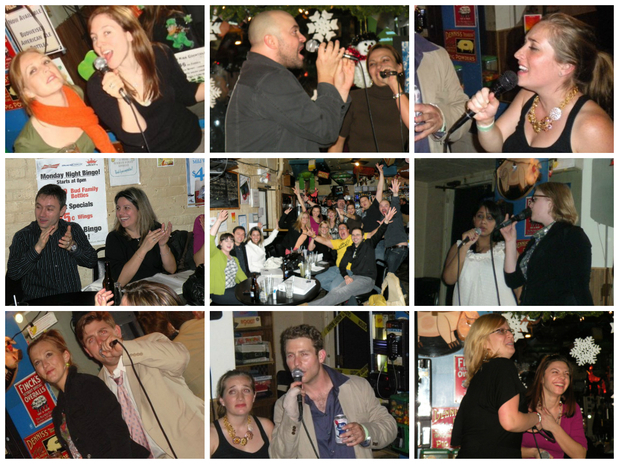 Blue Frog, beloved karaoke bar home to many raucous nights of singing, will close this month. The party continues at Blue Frog Local 22. CHICAGO — The Blue Frog's wild karaoke nights will come to an end as the bar and restaurant closes as early as Saturday — but you can still enjoy a song or three at its sister location, Local 22. Mimi Witschy, who owns Blue Frog with her son, said the bar at 676 N. LaSalle St. will close by the end of the month as its building will be developed into apartments. 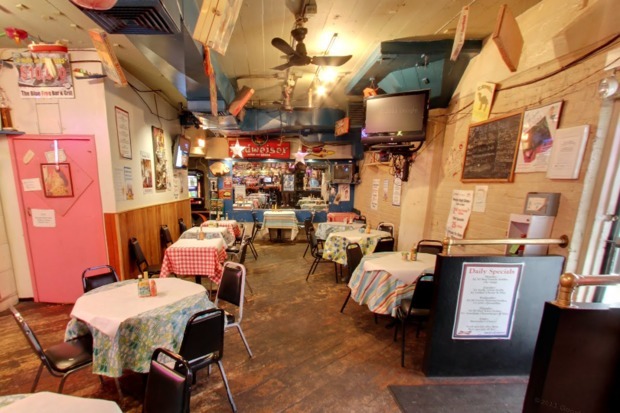 The Blue Frog, which Witschy calls "a dive," had become a hot spot for karaoke nights throughout the years. Witschy started the Blue Frog 27 years ago with a co-worker, both of them tired of "the heels and the briefcases" of their 9-to-5s, she said. Their shtick was board games: From "Candy Land" to "Monopoly," Blue Frog had somewhere between 100 and 200 games. It was "very, very popular," with patrons, Witschy said. Her buddy left but her son, John Reed, joined her as co-owner of the Blue Frog. The novelty of board games faded, partly because other bars started putting them out, and Witschy and her son looked for something else to bring patrons to the Blue Frog. No video games, Witschy told him. Reed came up with another idea: karaoke. Witschy guffawed at the idea, and the guffaw turned into a debate, and the debate turned into Witschy's husband reminding her she should treat Reed like a full partner. Witschy gave Reed six months to make karaoke work. He didn't need it. "It didn't take me long to fall in love with it," Witschy said. The patrons loved it, too: Just like the board games, karaoke gave them a way to connect across tables, Witschy said. “All of the sudden people that came in here as strangers are singing together,” Witschy said. "Our evening business revolves around karaoke. ... It gave people something to connect with." Witschy didn't join the singing — "everyone would just leave," she joked — but the bar gained a reputation as being great for karaoke. After their landlord died, Witschy and Reed realized the building might be sold and they'd have to move. They found a spot they liked sooner than expected, Witschy said, and ended up opening Blue Frog's Local 22 at 22 E. Hubbard St. in 2010 while still managing their LaSalle Street location. 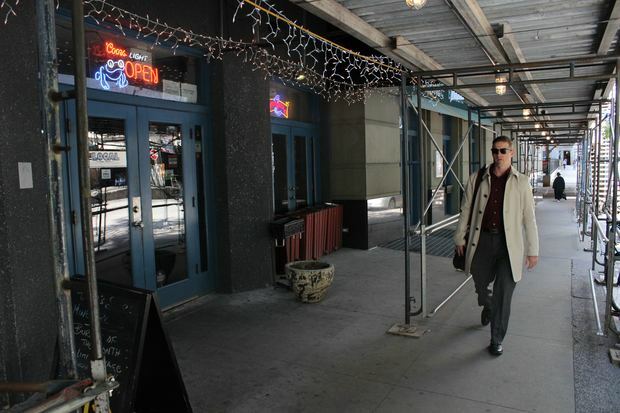 But they'll close the LaSalle Street bar on Saturday — or the 23rd at the latest, Witschy said — and FLATS Chicago, the developer, plans to transform the space into apartments, Witschy said. Witschy and Reed will now focus on Local 22, and she's told their regulars to head there. It's similar to the original bar, Witschy said, with a few changes — including "really, really good food for a little dive." The majority of the menu is locally grown or brewed, Witschy said. It has karaoke, too, she added. Local 22 has struggled in the past, appearing on TV show "Bar Rescue" in 2011. This summer, it lost more than $120,000 when an upstairs neighbor set up scaffolding that hurt its summer business, Reed told DNAinfo at the time. Being able to focus on it and make it a success has made saying goodbye to the original Blue Frog easier than expected, Witschy said. "Owning two businesses has proved to be really stressful," Witschy said. "So, I feel like now we can really focus and really put our efforts into one location."